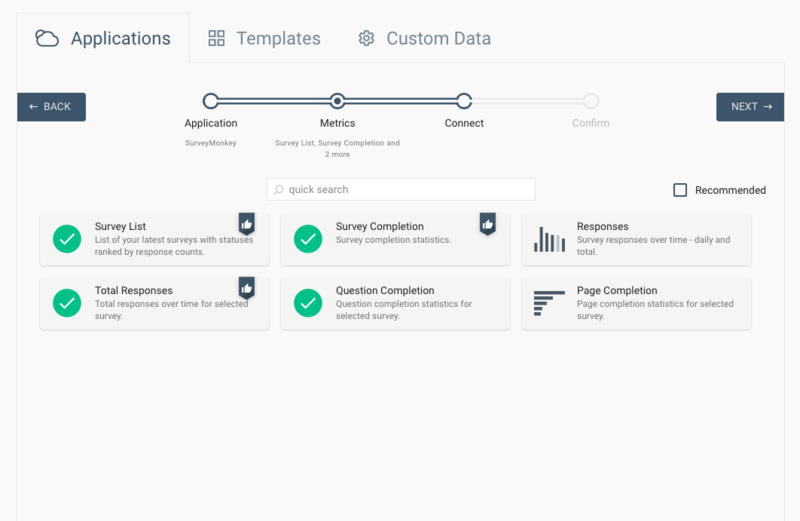 We have built dashboards and reports for businesses and marketing agencies. 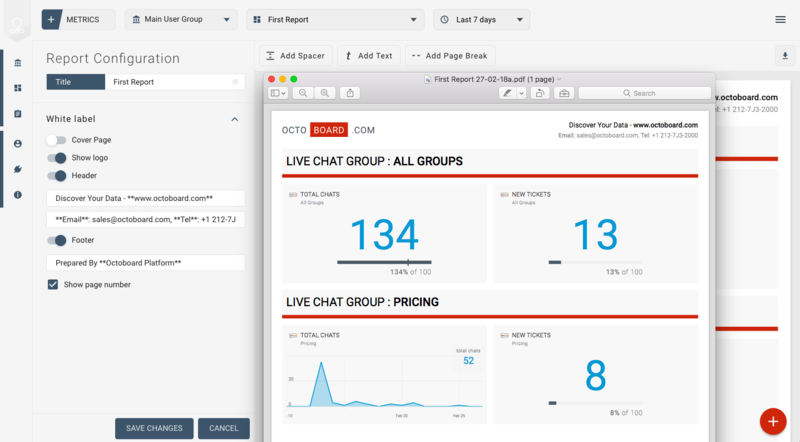 Octoboard customers can connect to any cloud application using Octoboard and create interactive online dashboards for management teams, department and individuals. 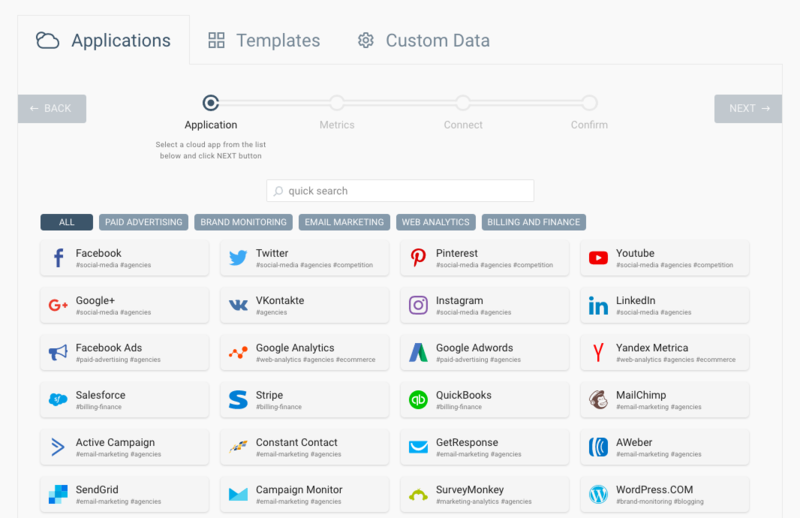 Data can be collected for Sales and Marketing departments, Operations, Support and Finance from applications such as Facebook, Twitter, Stripe, SalesForce and many more - all in one place. Startups use Octoboard to display our dashboards on office walls, motivate teams and focus on reals goals expressed in hard numbers. 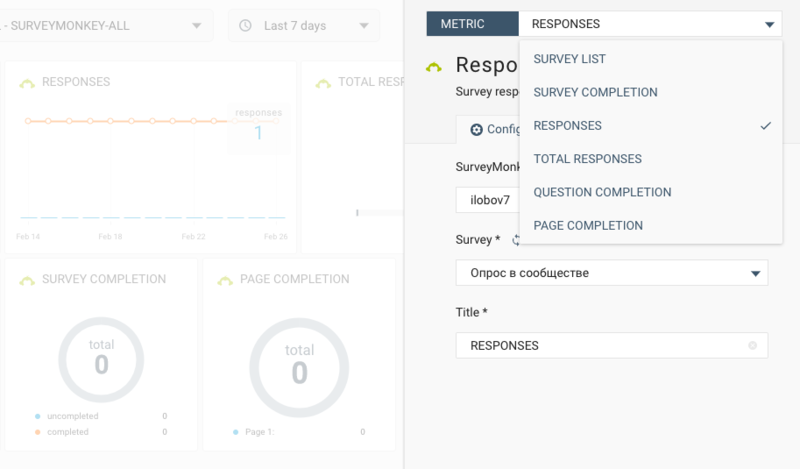 We help marketing agencies save time every week by automating regular client reporting. SEO, Search rankings, Social network signals, Online engagement metrics, Web analytics, Call leads and much more. All data collected and presented to clients in seconds. Automatically! Octoboard offers a Freemium model. Free plan is available for unlimited time. Premium fee is only required if application usage increases (number of dashboards reaches 5).